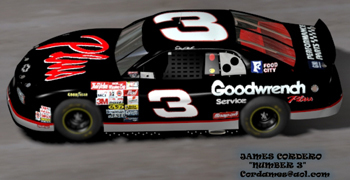 Not only do I use my Slixx decals to build my Nascar models, I also use them to build models in 3d on the computer. Included is a picture of a fully 3d nascar that i made. All the decals are Slixx decals scanned into my computer.